The reception of TV and radio channels via a shared distribution system is realizable by many ways. Each with specific pros and cons. Channel converting headend technology is a convenient way especially for small and medium sized community systems like housing estates, hotels and hospitals. 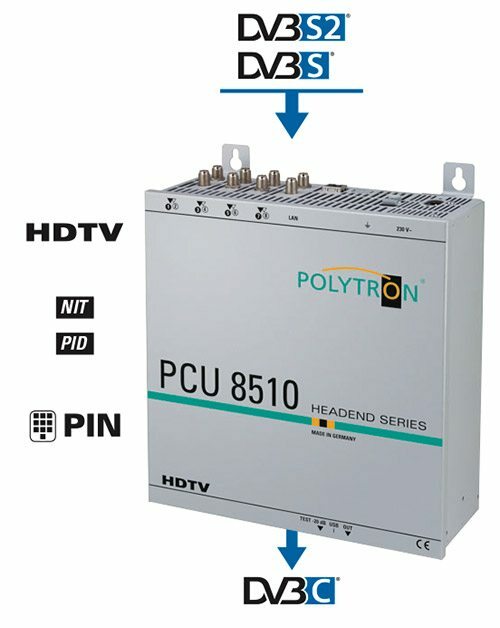 By means of a thorough production and the use of high quality components, POLYTRON Technology headends are fail safe and work for many years. The design of our headends is optimised for low energy consumption, which raises the profitability of the investment when running the headends continuously over a period of many years. Check out our online Polytron Product Catalogue for further details.